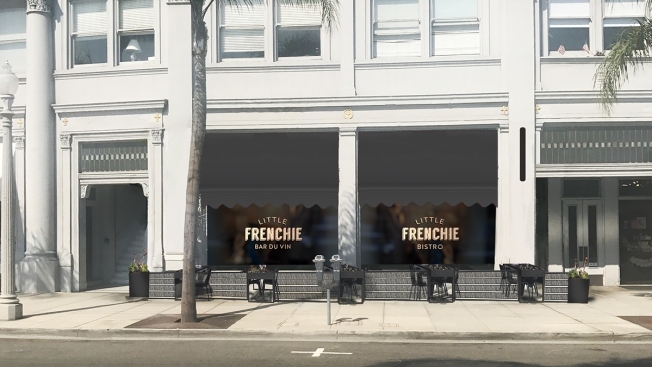 A rendering of Little Frenchie, set to debut on Orange Avenue in Coronado this May. For many, San Diego’s Coronado Island already feels like a world away. Now, a new restaurant debuting this spring in the seaside community will take the vibe even further and whisk patrons off to the far away land of France. The 1,600-square-foot restaurant will replace Blue Bridge’s former West Pac Noodle Bar at 1166 Orange Ave., which will shutter on April 13. It is the site of the historic Pacific Western Bank building, built in Coronado in 1911. After West Pac Noodle Bar closes, the property will be redesigned, Blue Bridge said, and Little Frenchie will eventually emerge with its own look and identity. The space will include a renovated garden for al fresco, European-style dining. The French bistro will run as a full-service restaurant with traditional dishes, an ambitious cheese program and a wine list brimming with varietals from both France and California. The fromage – served atop an area at the eatery dubbed the “cheese altar” – will feature an extensive, rotating selection of imported and domestics cheeses from France and California. Meanwhile, in the kitchen, Blue Bridge said executive chef Matt Sramek would take the reins. He is a graduate of Le Cordon Bleu and Thomas Keller’s Bouchon. Blue Bridge Hospitality said patrons can expect French classics on the menu like steak frites, niçoise salad and escargots on the shell, sourced direct from Burgundy, France. Sramek will also explore “lighter” adaptations of dishes like cassoulet and short rib pot au feu. Little Frenchie, with the tasty talents of executive pastry chef Lori Sauer, will also roll out a selection of sweet treats like housemade mille-feuille, crème brûlée and soufflé. Blue Bridge said Little Frenchie offer lunch and dinner service daily to start. Later in the spring and summer, Sramek plans to offer a seasonal breakfast menu Friday through Sunday. Blue Bridge Hospitality is owned by Coronado native David Spatafore. 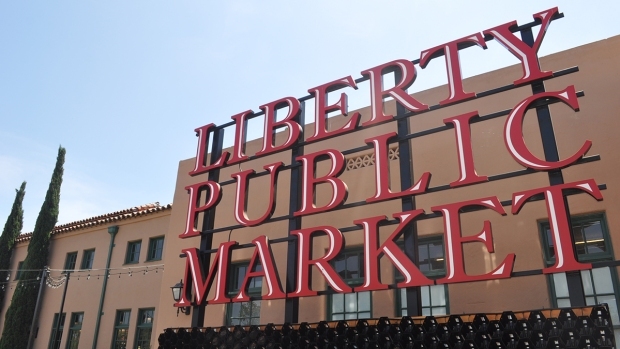 The group currently runs 11 eateries, including the foodie emporium, Liberty Public Market at Liberty Station. It's been a year-and-a-half since Liberty Public Market opened in the heart of Liberty Station. With more than 30 vendors lining its halls, the 25,000-square-foot marketplace has quickly transformed into a food emporium, with interesting treats to be had at every turn. Here's a glimpse at LPM, as it looks in fall 2017.